Waterstone Succulents is a line of handmade succulent sculptures with interchangeable planters, created and produced by artist and designer Michelle Weddle. After receiving degrees in Creative Advertising and Studio Art from the University of Texas at Austin in 2007, she began work as a floral designer. This is where she discovered succulents for the first time. Like most, she immediately fell in love with their forms, but became truly fascinated with the tenacious, inventive, and beautiful ways succulents in the mid-continental US and elsewhere have adapted to the extreme environments in which they now thrive. "They are one of many examples in nature where a species gloriously overcomes tremendous odds." It would take another two years, however, for the idea of 'Waterstone Succulents' to surface. As a designer, her love and appreciation for the sculptural, geometric silhouettes of these beautiful plants inspired her to create a method of capturing them in their peak condition. "From the beginning, I wanted to create something entirely new that wouldn’t suffer by comparison to the live plants. I faced many obstacles along the way, problem solving one by one until the final product was achieved. I believe it’s the pristine whites, luminous metallics, and playful pastels that set these apart. As soon as I began applying paint, I said to myself ‘Ok… now you have something.’"
Waterstone Succulents were first launched as an Etsy shop in May of 2012. Etsy is a global marketplace for anything handmade or vintage boasting upwards of 1.8 million sellers. Forty-eight hours after the first 60+ designs were posted online, sales began to take off. Within one month, Etsy had featured Waterstone Succulents on their Facebook page and scheduled a homepage feature. Six weeks later, Real Simple Magazine announced Waterstone Succulents would be featured in their December Issue Gift Guide for Women. 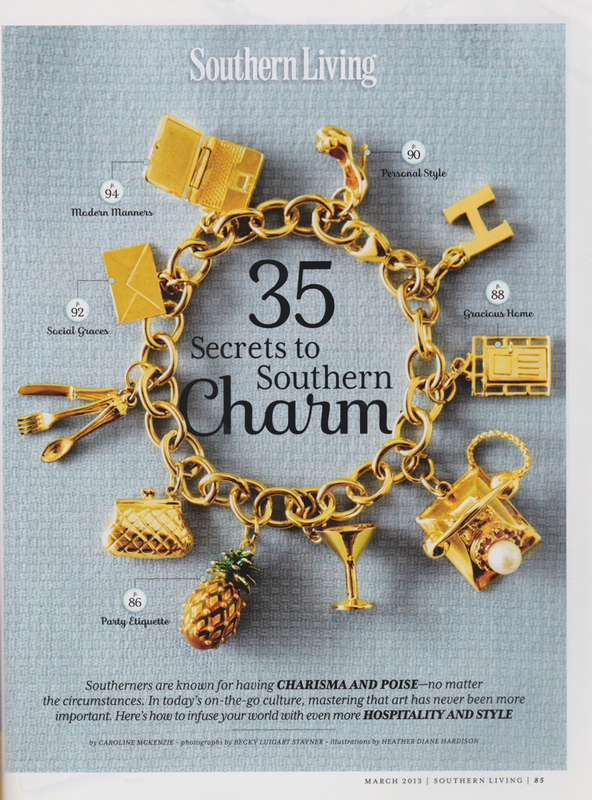 In March of 2013, Waterstone Succulents made it to the pages of Southern Living Magazine. Later that year, they appeared in SHOP, an Australian fashion magazine representing Etsy as the Managing Editor's favorite online shopping destination, and were featured on numerous popular blogs like Made By Girl, Design Sponge, and Apartment Therapy. 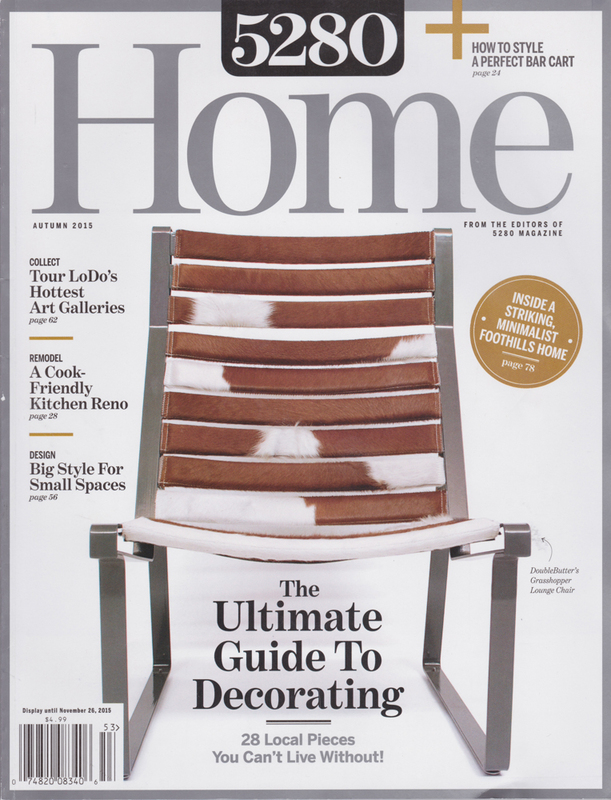 Waterstone Succulents is a 'Top Seller' on Houzz.com, and was one of the first products selected for the Houzz marketplace launch in the fall of 2014 which now boasts an impressive selection of over 5 million products and materials to help you decorate and design your home. In the summer of 2015, Waterstone Succulents were featured in a master bedroom makeover for a lucky viewer of The Ellen Degeneres Show. In 2017, Waterstone Succulents were selected by award winning actress Mila Kunas for the remodel of her parents Los Angeles condo in a segment titled 'My Houzz with Mila Kunis,' broadcast nationally on BRAVO. She has continued to evolve the line by traveling around the US to find new and unusual species to incorporate in a variety of sizes, designing and producing many new planters, further refining the production process to create crisper detail and more brilliant finishes, and in 2017, tinting the succulents with dreamy pastel tones. 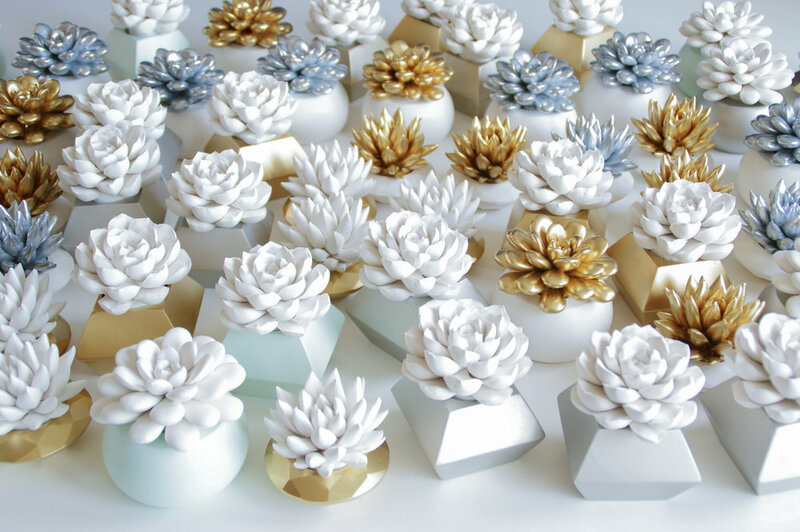 Launched in early 2017, Waterstone Succulents are now available in gorgeous retail packaging personally designed by Michelle, and are currently selling in boutiques and art museum gift shops around the United States.